Here’s a quick recipe for you guys…..3 minutes quick! 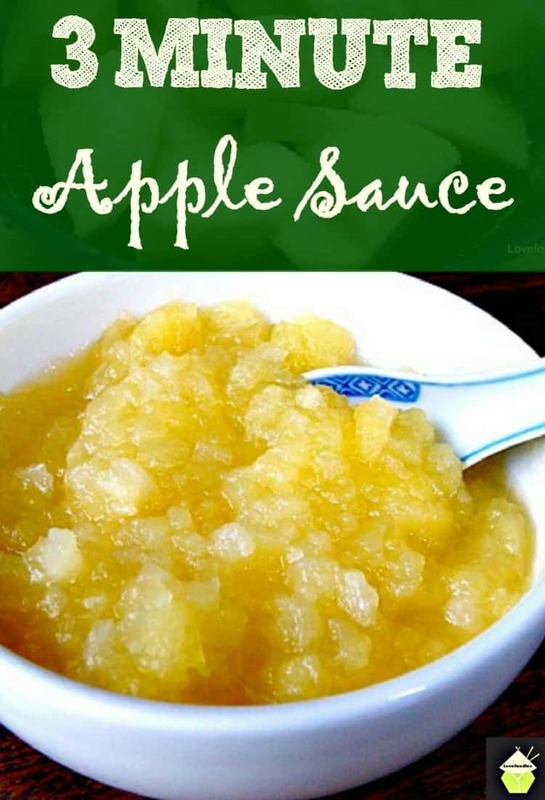 I’m having roast pork for dinner tonight so I need Apple Sauce. It’s also good for babies (leave out the sugar), and dieters (use sweeteners if you can stand the taste of them). Great in a pulled pork slider too, or served with custard (YUM), as a dip with taco crisps (like Doritos or something), topping for a pancake, in cakes….the list is endless! As many apples as you like. I guage 1 per person. 1. Peel & core apples & cut into eighths. 3. 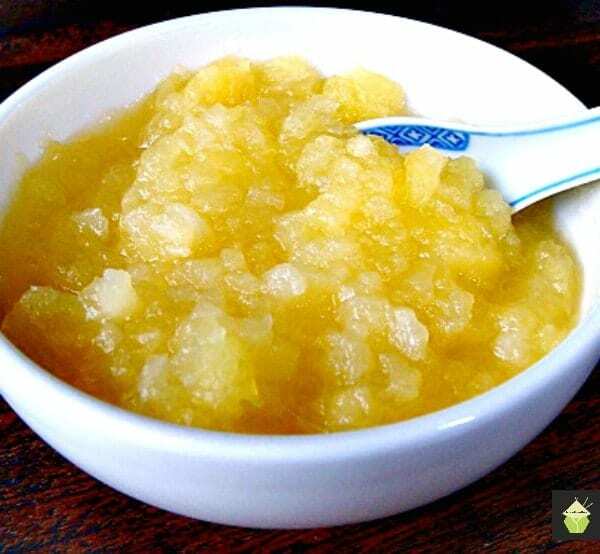 Microwave for 3 minutes and mash with fork or masher until smooth or as lumpy as you want..and Ta’daaaaaa 3 minute apple sauce! Freeze in batches too! Peel & core apples & cut into eighths. Microwave for 3 minutes and mash with fork or masher until smooth or as lumpy as you want..and !Ta'daaaaaa 3 minute apple sauce! Freeze in batches too! Having roast pork and forgot to get apple sauce but I used this recipe and blitzed it in the food processor for smooth apple sauce 😊 Thanks!!! How has nobody realized the this is “3 minute applesauce” buuuut Right under the first paragraph part it says “ total time:8mins”? perhaps a little cinnamon? 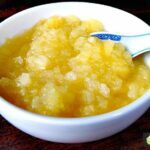 my mom used to serve applesauce with pork chops and succotash.. this is quick and easy recipe thanks! I’ve never added cinnamon in my meringues but I’m sure it would taste nice ! Oh My my…I am going to have to make this! 3 min applesauce???!!! OH YEAH!! Now all those apples won’t go to waste! THANK YOU!!!! Glad you’re happy Pamela!!! Enjoy!